Hey there, would be open to sharing the source files for this project? I am building out a 2040 x-axis version of this with the z-axis rods being replaced with v-slot wheels riding the frame. It's been really difficult/tedious working back from STL files though. Why didn't you add nut traps for the brass T8 nuts? Screwing the bolts into the plastic isn't very secure especially since the nuts are mounted on the top and the weight of the gantry is pulling down. NinthDimension, thanks for the question, it's always good to hear someone else's perspective on your design. I don't think "trapping" the T-nuts were necessary and would have complicated the design a bit more than needed. When properly tapped and mounted with all 8 screws the T-nuts have proven to be very secure. I (as well as many others) have been running this setup for years , as far as I know, no one has had any issues with the threads pulling out. One: make sure you the chase the mounting holes with the proper size "tap" drill, this will prevent the plastic from cracking due to an undersized hole. Second: use a little dish soap as a tapping fluid, this will keep the tap clean and help remove the plastic from the treading process, it is also less harmful to the plastic and easier to clean up than fluids designed for metal. With that said, I can see how some (like yourself) might like the idea of "trapping" the nuts in-lieu-of tapping plastic (that does require a tap people may not have laying around...like I do), so if you have something in mind, please feel free to redesign those parts and share it with the community. I'm sure there are others might prefer that as well. this is going to sound dumb, but how I cant seam to get the belt connected am I missing a part? The belt comes in through the hole from the back of the gantry plate and then loops back out of the front. 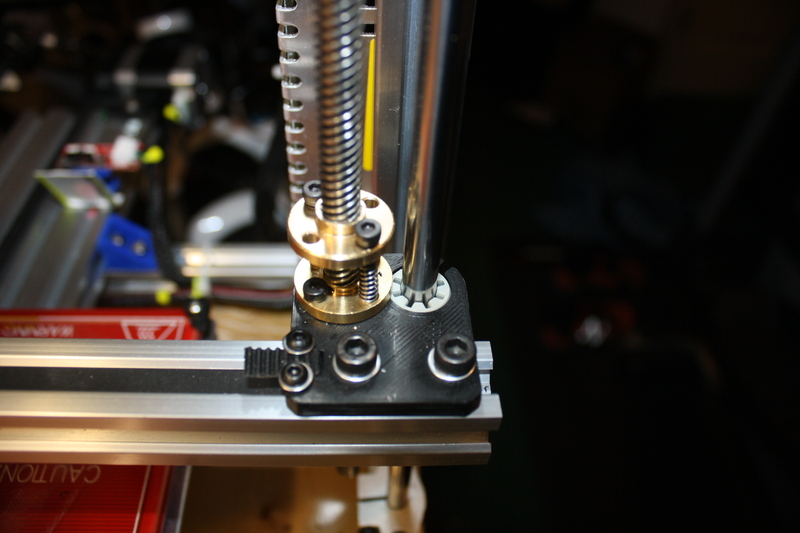 Use a small piece of belt to lock it in place with the extruder mount plate. The belt can be a little loose as you will use the adjustment setup to take out the slack. Here's a photo of the attachment...hope that helps. Thank you for sharing this design! I've been using it for a month or so now and I love it! I ended up making a RJ45 mount to work with Openbuilds gantry that maybe you'd be interested in. I have tons of wires that I wanted to clean up, but couldn't find a good mount to work this this system. I've discovered a big problem with this design. The belt is not parallel to the axis. While it is not a big deal in the middle of print bed, but closer to the ends the right edge the right angle triangle gets steeper angle and error increases. I printed 20x20 test cubes on two edges and in the middle. The middle is correct x-size, the left one is a little off by 0.04mm, but there is plenty of space to the left, but the right one is 0.5mm wrong (20.45mm) because the carriage is very close to the right lead screw. In theory it can be solved by pushing the belt inside the extrusion near the mini gantry, but i don't know how to do it yet. See pics. Or maybe add some thickness to the hole. This design is being run by a large people (both here and other forums), none of which have complained or stated it has a "Big Problem". So lets look at your installation before we determine that there is in fact a design flaw. The first thing I noticed is that you installed the belt backwards...see your 3rd photo _224549 (thanks for providing photos, they help diagnosing small problems like these). You pulled the belt through the front of the Mini Gantry Plate (MGP) and looped it on the back side and then used a cable tie to secure it. To your credit, this is a pretty common way to install these belts, but it doesn't work well with my design (as you noted). If you simple feed the belt from the backside of the MGP to the front you will decrease your error by quite a bit (although still not perfect). However, if you installed it like I did mine (sorry for not detailed this in the project) it will line up almost perfectly straight (see my attached photo). As already indicated, pull the belt through the MGP from the back, you can then use a smaller piece of belt linked into the grooves of the belt to secure it to the MGP via the extruder mount (if your mount is similar to mine). Here's the photo of my setup and how I used the small pieces of belt to secure the drive belt to the MGP...hope it helps. If you have further questions or if i can help please don't hesitate to ask. Aha, now it is a bit more clear. I have seen many people in MADE section (from this design and from remixes) who do the same thing i did and also teevo tarantula has the same problem from what i've seen. i did not use 20 teeth pulley because it will reduce resolution by 20%. I use 16 teeth pulley on motor and 16 teeth idler. With this setup the belt goes inside the groove of 20x20 extrusion. So, your setup will have partial effect near the edges. Also, putting anything between mini gantry and the extruder place will cause extruder to be not at right angle to bed. Bad idea, imho. I will think about solution. I'm using this design for my Y carriage and I have it setup the same way you did. Fortunately I didn't see the error you did because my gantry never gets close to the edges of the extrusion where it could get caught up. Currently in the process of making my own setup for the X carriage utilizing these components and my own design for the actual gantry. These comments are a big help in my design process. This design/setup is spot on, I've never had a problem with it, neither have MANY other people. As far as 20 vs 16 tooth pulleys, I get great resolution and absolutely no errors in my prints. My extruder is perfect straight and in alignment with the print bed, I made sure of this during the design and installation. Again, I think your installation of the belt is a common practice, it's just not the preferred method here. You seem to be developing your own problems by not following the original design, (the smaller pulley definitely promotes the error that you are seeing, and explains a lot). Other have also veered away from the design with success, and I applaud their efforts, it how these design develop and grow, and you may very well be on the same path. You are certainly free to think what you want about the design and do whatever you want, redesign, remix, maybe actually do you own design!?!? However stating that my design has a "Big Problem" and is a "Bad Idea" seems a bit malicious and really doesn't fall in-with the spirit of the "Open Source" community. We are all here to share, help, improve and promote not only our designs, but the designs and efforts of others. Many people have noticed ways to either improve this design and have made positive suggestions, all of which I've tried to incorporate into the design and give credit to those participants. I would certainly do the same if you came up with positive improvements. I am very sorry if i insulted you with my "big problem" statement. It was never my intent.I see how you partially avoided and partially mitigated the problem in the used pulley and belt fixing way so the problem basically does not manifest itself in any visible way for you. I am working on a solution for my case. I have already designed belt hook for Y-axis 2080 extrusion convertion (has similar problem there). See attachment. I will try to adapt the same solution for the minigantry. Will post it if it works. No problem, I know we are both simply looking to make our particular machines a bit better, and I think you are well on your way. Your design certainly looks promising and I look forward to seeing your final results. Hopefully it will help others that may be having similar issues with their printers. seem to work so far. But i think i will eventually use 20 teeth pulley/idler. Nice!!! I look forward to seeing installed and in action...thanks for sharing it here, hopefully it will help others with the same or similar issue. I do think the 20 tooth pulley/idler is much better suited for this design. It is already installed and tested. It works fine. But only time will tell if there are any problems with reliability or anything else. Am I dumb or is there a file missing... I want to print the rail mount but in both versions, they are oriented in the same direction. And I don't know how to mirror a file. There is one part missing, and the intention is too mirror it. This feature is usually available with most slicing software, do a quick search and I'm sure you'll find instructions for your specific slicer of choice. I ran into the same issue.  To mirror an object in Repetier press M. You will have to lookup how to do it in other software. Why does the tensioner have two different sized holes in it? One side appears to be M5 and the other M4. The larger size is a thru hole, the smaller hole is to be tapped so you don't have to use a nut. I've since moved on to using a titan aero but it worked really well for a long time. I still use the lj18a3-8-z/bx however, but due to it's large size I end up having to make my own extruder mounts in almost every case. Great design! I'm working with 4020 vslot instead of 2020 vslot though. Is there a chance you could upload the other Step Files, all i see on here currently is the main bracket step file. I'm swamped right now, so very little time to look through and convert files, but I will do it once things settle down a bit for me. I'm confused. The Igus RJ4JP-01-08 Linear Bearings are 15mm OD, so the 16mm part, X-Carriage_Rail_Mount_16mm_OD_Bearing.STL, is too big. Is this part for a different Igus bearing, and if so, what is the part number. Thanks. Sorry for the confusion, but I redesigned and uploaded the X-Carriage_Rail_Mount_16mm_OD_Bearing.STL file at the request of someone install requiring the larger OD bearing (hence the further detailed nomenclature). If you take a look at the original file: X-Carriage_Rail_Mount.STL it will fit the Igus RJ4JP-01-08 with a 15mm OD. Thanks. I'll give it a print, and post back, if any issues remain. I Sonnylowe! i think this is a great design! i'm going to build a P3steel and wish to implement this kind of X-Axis, just a question: will it fit on a machine that as the standard prusa I3 clearance between Z-smooth rod and Z-Leadscrew? (center to center) Many Thanks! Keep it Up! sonnylowe, could you post the complete stp file or iges file for the complete x-axis assembly? I am building a custom printer and need to customize all of the parts. Thanks for a great design! Hey! So i'm trying to add up the cost for the BOM, but as im running low on screws and such Im trying to take that into account. Do you happen to know what screws and hardware was used and how many? Very nice...great work my friend!!! By the way guys, beware that if you buy the mini gantry plate from MakerStore instead of OpenBuilds, the center holes are not threaded; they are just clearance holes (which throws a "wrench" into just printing the direct drive motor mounts that are linked in the details of this upgrade, as there is not room for a nut between the plate and the beam). I found that out the hard way, didn't know there was a difference between the companies product, other than that I think they are identical. Oh well, anyway, just thought I mention that there was a difference. Sorry to hear the MakerStore stuff didn't work out, but it's very cool that you posed the warning...hopefully is does same someone else some grief. p.s. just added the info to the BOM...thanks again!! Just uploaded a STP file, let me know if that's the one you needed, keep in mind it's the one you need to mirror for the opposite side. 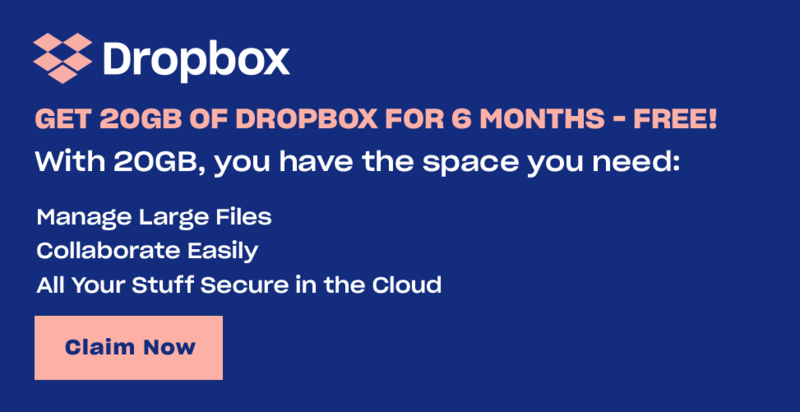 It does look like the one I need but which software did you use? It's in a STEP format, just about any CAD software will import it. If you know the spacing you need I'd be happy to modify the file for you. However, if you can design/draw with CAD try OnShape.com. It's WEBGL based and fully cloud based (no downloads required)...it will run in most web browsers, I use Chrome. It would be great if you could and from what I can tell from your design it should only be that item that would need adjusting as the other parts look to be independent and dependent on the length of the 2020 rail. The reason why I am so interested in getting this to work on my Anet A8 is that I have only seen 1 design for the A8 and I am not too keen on that design where as your design looks clean and simple and should help out the awkwardness of the x axis tensioning and keeping it level. I think I understand what you need, however, that is a complicated and pretty difficult change to make. I'm happy to give it a try, but it will be the weekend before I could give it shot. For the life of me I can not get this mod to work. The z axis just binds up. I am running the z axis stand offs. I removed the bearing from the stand offs and it still binds up. Can you take a photos or your setup so I can see what we're working with!?!? If you could show me what's binding up that would be great!!! I posted my setup in the made section. I had to really loosen up the lead screw nuts to get it to run smoothly. What did you have the steps for the z axis changed to? Do you think it is ok to run the screw nuts loose? As long as they don't cause printing issue I think you're fine. do you have the size for the v wheels? or even link to get them?? I noticed the X-Carriage motor mount does not have a hole for attaching to the 2020 rail. But you have one in the pics. Did you just drill it out? Or maybe make a STL with holes and not post it? Thanks so much. I just noticed it as I am printing all the parts while I wait on my openbuild order to get here. Finally got all the items printed and installed. Testing now. I noticed the carriage to be a bit jerky. What are your jerk and accel settings now for the new x carriage? Sorry for missing your last post, here's a link for a folder with my configuration.h file in it, you can take a look at it. That folder also has a bunch of photos in it that might help with the tensioner...if you still need then!?!? p.s. make sure your belt is tight, it will jerk if it's not, also make sure it's not rubbing on the groove in V-Slot Rail. No problem I got the tensioner figured out now just the jerk. Belts are pretty tight. Doesn't appear to be rubbing best I can see with in the places I can. I will check out your config.h file. Thanks for the help. I have it working and printing your golf ball dampers right now. Things look good just small tweaks I think at this point. After flashing Marlin 40 times or more with the same settings I got the accl and jerk ok. Now what I have is a strange whine sound in the X axis only on certain moves. Wondering if belts are too tight? Or too lose? Thoughts? Dude, that's crazy!!! But glad to hear you're back on track. I listened/watched your other video, if it's the same whine I think that's just the Stepper or Driver. I know different stepper counts (1/8 vs 1/16 vs 1/32) can make the stepper whine...it could be nothing more than that. I keep my belts pretty darn tight, but you could try to loosen or tighten the belt to see it that does make a difference. I think the current settings can also drive what the steppers sound like...not positive on that though!?!? As those seem to be a popular anti backlash nut people get. Man...those are supper cool...love them. Not sure about the link you sent but these will work with the current setup, just drill out the threads and point the springs up...they should screw right in. If you try them let me know how they work!??! I have a set coming this week. I ordered the wrong thread the first time. But the base of the nut is larger than stock 8mm lead screw brass nut. I will see what mods I can do when it arrives. Here is a mount/adapter for the base. Hahaha, I forgot to add the link...may bad!!! Here is the Ebay Item # 131931751054 for the one I would recommend, they have the same 16mm hole pattern as the stock ones, and should only require you drill out the threads. I think you could use a SHCS to mount them and the spring would simply sit on top of the screw heads!?!? Either way let me know how it goes, I'm very curious as to how well they fit and work. I saw those. But of course from China. (I hate waiting lol) Which was why I looked at the ones I sent from Texas. Maybe I will give the China ones a go. Just won't arrive till 2017 lol. Yeah, I'm not a fan of waiting either...I just did a quick search, so I'm not sure if you could find them in the US!?!? Only ones I found are the ones I linked you to which have a larger base. Thanks sonny, going to try to tighten up the belts more. used to being able to feel how tight they are with the stock x setup. with the v slot litter hard to pluck the belt and gauge how stiff it is. What voltage are you running on that motor? 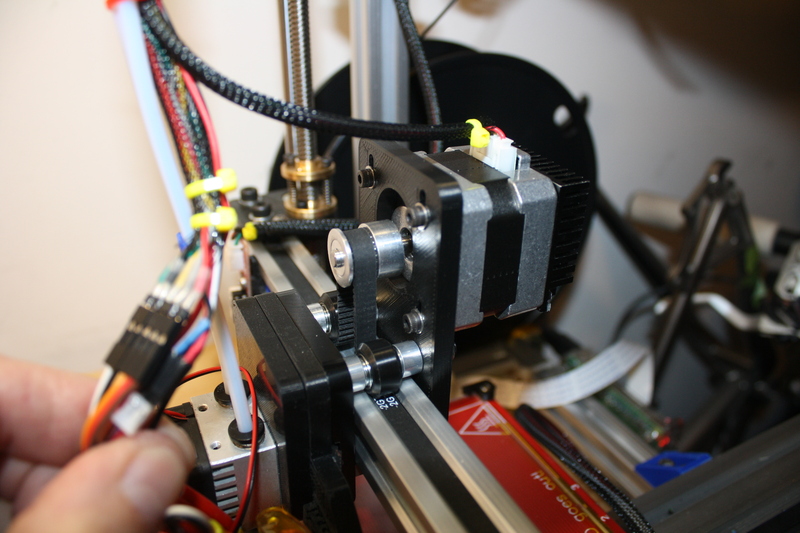 I have also seen the extruder lift up as if retraction is pulling the motor and hotend away from the bed. But then returns to the bed. creates a strange print. but first I need to deal with these speeds.. I have tried to reflash accl settings are yours. I even tried a new ramps board etc. Will do. Can you explain the various belt tensions and pullers? Or Maybe some good pics of that side? Basically V-1 uses larger full captured mounts for the rail, and V-2 is an open mount. I am using V-2 currently but with some other modifications that I simply haven't had time to post. Sorry but i don't have photos of the current tension setup as I am running a prototype setup. However, all three makes from this post have some good shots of the assembly, you should take a look there. It's pretty straight forward and think those photos will clear it up for you, if not let me know and I'll try to explain the assembly. OK, So I bought the wrong wheels. I bought the solid and not the mini. darn. Can you suggest a plate that might work that I can print to fix this. O should I just buy the minis. My store is all sold out of the Mini V gantry. I found one on here. Do you thing there would be any issue with just printing one? They are not my first choice, but yes, I have printer the gantry plates and yes they will work. I would suggest printing them with 100% in-fill and out of ABS though. Why ABS? ABS is so soft and flexible even when 100%. If you have anything that has any force to it or tightening like a GT2 belt use PETG. If it has a lot of heat then ABS but if it has a lot of heat AND any force it takes some wicked exotic filaments for sure. At the time I had never printed PETG, but I think it would be fine, and yes, it does seem a bit stiffer than the ABS. Ahhh. Yes, a lot of people are reprinting their parts in PETG now due to stiffness and how hard they are to deform or break even when only 25-50% infill. At 100% infill it is too much you can't do it by hand without tools and a lot of force. Ok good to know. I managed to source one from amazon.ca and they will deliver to Canada. Crisis averted. Lol but I might pritu one out for future projects. I'll let you know. I see in other placed in the internet that people advise against using igus bearings for the Z axis. How do you find them? Are they binding as others have said? Thanks for the nice comments about my upgrades, I am very happy with both, and hope you will be as well. Hi Sunny Low, I love the design and am considering building the gen 1, however I'm not entirely sure about the benefits of gen 1 versus gen 2. Could you explain a bit further on the differences between the two? Both work really well and will give you very similar results. Sorry for taking ages to get back to you. I'd defiantly be willing to do a test print of your redesigned x carriage. At the moment I've been trying to print gen-1 but am having a few issues getting supports to work, they keep spoiling the print. I am using cure slicer from within repitier host with 35% infill, at 45mm/sec, and with the "supports everywhere" option; the material is PLA at 200 deg celsius. Is anyone able to provide a g code file with custom supports for the two x carriage motor mounts? Sunny Lowe, I just build and installed your x axis upgrade. It's great but I can't seem get enough squeeze on the gantry plate wheels to remove torsional slop. When the extruder pulls on the filament it lifts the nozzle slightly. I am writing open builds about this issue but thought you might have an idea. Can you send me a photo of your setup? I took the entire carriage apart last night and noticed that I had not tightened to lock nuts down enough on the wheels, this allowed the eccentric nuts to move and lose tension. I tightened the wheels a bit more, they no longer spin freely but the carriage is much stiffer. I was thinking the extruder/hotends and fan are on a rather long lever pulling on those upper wheels, If we were to move the gantry to the top of the 2020 and have the stepper sit on it with the hotend hanging over the side, not only would the wieght be pushing straight down, but we would likely get a bit of additional Z print space out of it. I have a few projects going on now, but will remix at some point down the line. Glad to hear you worked out the problem...please keep us posted on your remix, I'd love to see what you come up with. Do you actually have to make the switch to the IGUS bearings? As I understand it, they are the same ID and OD, and would fit into the same location on the printed parts for this upgrade and in the end, it's entirely my X and Y axis that are in need of silencing- that little bit of movement up/down per layer isn't going to be worth the extra who knows how much on those bearings in my book, not if I can avoid it. Yes, by all means you can use the standard linear bearings. However, I think I only paid ~$2.97 each for the Igus bearings which included shipping if I'm not mistaken!?!? I did buy them with a corporate account though, not sure if that made a difference. I'm with you on that note...it's very frustrating when you have to ask for pricing...it will often steer me away as well. So one other quick question as I print the parts and start to order pieces for this- do you use the whole 500mm length or does the V-slot need to be cut down to a specific length to support this? Ignore this, I saw someone else already asked below. Thanks! SoonyLowe, please tell me it is possible to make the pieces work with 2060. love the design, but 2060 is all I have and I need to get this beast up and running. If you're asking if you can use Openbuilds 2060 V-Slot rail instead of the 2020 rail to run the gantry plate, then yes, you could do that. You'd need a different gantry plate that would work with 2060 and you'd have to use the X-Mounts from the my Gen-2 design (see below)...V-7 should allow you to let the extra width of the 2060 rail hang below the the normal stopping point of the 2020. I am currently using this design and although it's not as stiff as Gen-1 it gets the job done!!! Even the Gen-2 X-Mounts will allow you to run the standard motor and pulley configuration of Gen-1, so you don't have to add the stepper to the gantry rail. Thank you, ill give it a shot. Great designs!! Much thanks for posting your x and y V-Slot design! I have done the Y axis already and it turned out great. I'm now assembling the X axis parts and will post my Make when done. Not sure what orientation you printed the X mounts, but for me I had some overhang that was a little difficult to print. Thanks for the kind words, and I'm so happy to hear you like the design/upgrade!! As far as printing the parts I can't remember how I did it right off hand, let me take a look at my old files and I'll let you know. I do use S3D which does a wonderful job of letting you custom place your support, so could have a lot to do with it!?!? Thanks! Yeah I think my problem may have been not having good enough support. I'm just using Repetier and Slic3r with its auto support settings, I'm going to give S3D a try once i can justify the cost, seems pretty great from what I've read! The custom support alone was worth the price of admission for me...I love the software!! I printed them with the tops down, I removed support from everywhere except the hole where the rail went through...hope that helps!?!? Glad to hear the support placement works well, I definitely see how much that would help. Thanks for the tip, I'll try that out on the next go! I printed them with the outer side facing down, but your orientation makes more sense. Hi what type of igus linear bearing are you using for the Z axis? What size? Have you got a reference code for them, to help me to buy the right ones? I use the Igus: RJ4JP-01-08 bearings, they are direct replacements for the LM8UU linear bearings . Here in the US I had to call them directly as I was not able to buy them online at the time. Here is a link, you may or may not be able to purchase directly now...if not, just request a quote and someone will contact you with the info required to make a purchase. Thanks Sonny. I'll give it a try! From the files, it appears you are using the metal leadscrew nuts vs. the published nut holder for the Z axis. Other than the obvious plastic vs. metal, is there an underlying reason that I should not go with the printed version rather than way for nuts to be mailed to me? I added the M5 threaded rod option at the request of another builder. The brass nuts pictured are actually for M8 2mm pitch Lead Screw Nuts, so they won't work with your current M5 threaded rods. I think using either is fine, although if you ever plan to run auto bed leveling you'll find the M8 lead screws to be much more friendly, and much quieter than the M5. The M5's run at such a high speed they can chatter during rapid movement. You could always install the M5 and upgrade to M8 LS later, they are easy to change out, and the X-mounts allow for either setup, so need to change them. Excellent, thank you. Before I move forward with my FolgerTech build I have some printing to do. Also I did notice that your BOM for the Y-Axis is there, but not for the X. Would you kindly add the BOM in the files section or direct me to it so I can do a single purchase from OpenBuilds? BTW, where did you get your flanged bearings from (just so I can be consistent) for the Y-Axis? The F695-ZZ bearings came from Ebay. The BOM is in the custom section. Sorry for all the questions....I'm shopping. No worries about the questions, glad to help. I actually bought the lead screws from Ebay (see below), they came with the nuts. You can get them from Banggood as well (also listed below). Hello. I am having problems printing your upgrade. Repeater host keeps shutting down after I try and slice the download. not sure what is going on. Don't have any problems printing other items form thingiverse. I just downloaded all the files directly from here and sliced them with Repetier Host (Slic3r) @ .2mm layer height with no problem. Others have also downloaded and printed these parts...I wish I could help, but I have no idea why you are having issues!?!? Do you print X-Carriage_Rail_Mount.stl twice? 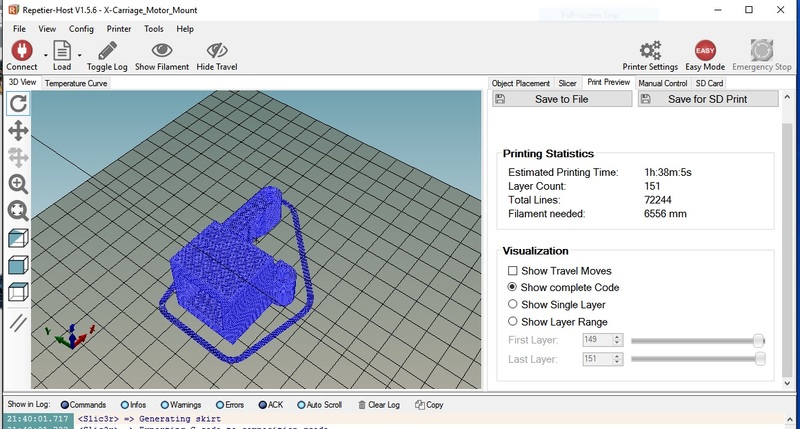 Looking at the image, it looks like you need to print a mirror image of X-Carriage_Rail_Mount.stl, is that correct? What is the light grey sleeve inside of the X-Carriage_Rail_Mount.stl? Hey man how long is this rail? I am doing the X and Y build both and I see the Y size but now the X size. If you are cutting the X rail yourself (I used an electric miter saw) I would suggest setting all the components in place and taking an actual measurement, then cut it. My rail started off life at 440mm long, and got shorter as I fit things together. Unfortunately I have moved on to the Gen-2 setup and it has been cut even shoter, so I can't give you an exact number. It can be too long and still work just fine, so I would not cut it any shorter than 420mm without fitting it first. Oh I see now since it fits through the motor side it can be long. Gen2?! whats this look like. Will start this at the beguinning of next month :) Cheers once again Sonny. Do you or therippa have the standard nema17 direct extruder mounting bracket for this build?